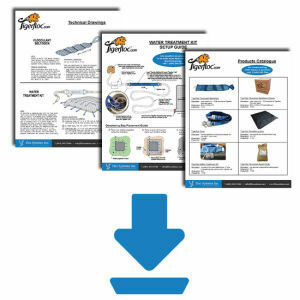 Dewatering Bags & Tubes, dirt bags, geotextile bags | Floc Systems Inc. 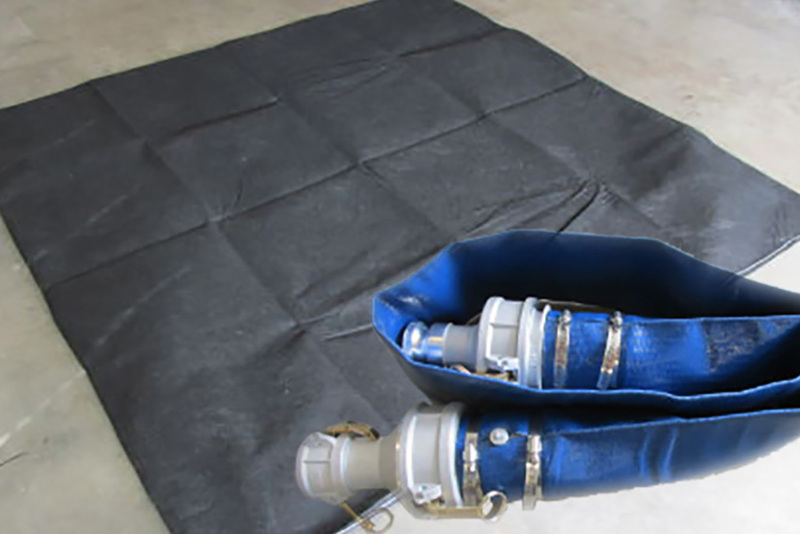 The Tigerfloc Dewatering Bags are a micro-pored, custom made product meant to be durable and at the same time balance both the water flow rate and filtration of the dirty water passing through them. 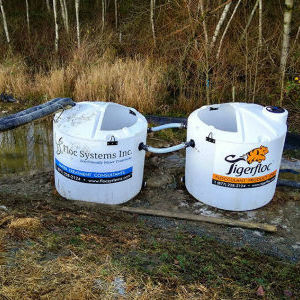 Tigerfloc Dewatering Bags come in three different sizes 14' x 14', 14' x 7.5' and 7.5' x 7.5' and can be purchased separately as needed. 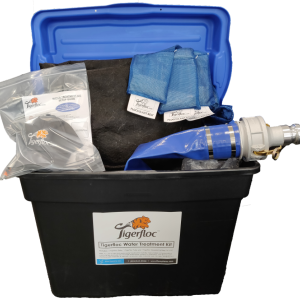 The Tigerfloc Tube is used in conjunction with the Tigerfloc Water Treatment Kit, but can also be used separately when pumping untreated water over our Tigerfloc Belts/Socks. A Tigerfloc Belt (or two) can be inserted into a Tigerfloc Tube to recirculate turbid water from a sediment pond to accelerate particle deposition rates. Tigerfloc Tubes connect to 2" pump hose and are 7' in length. 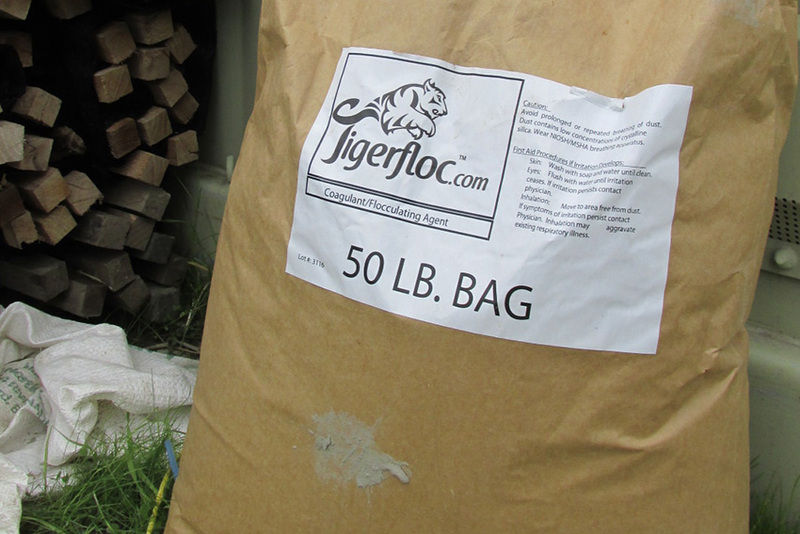 The Tigerfloc Dewatering Bags are used in conjunction with the Tigerfloc Water Treatment Kit for optimal performance. 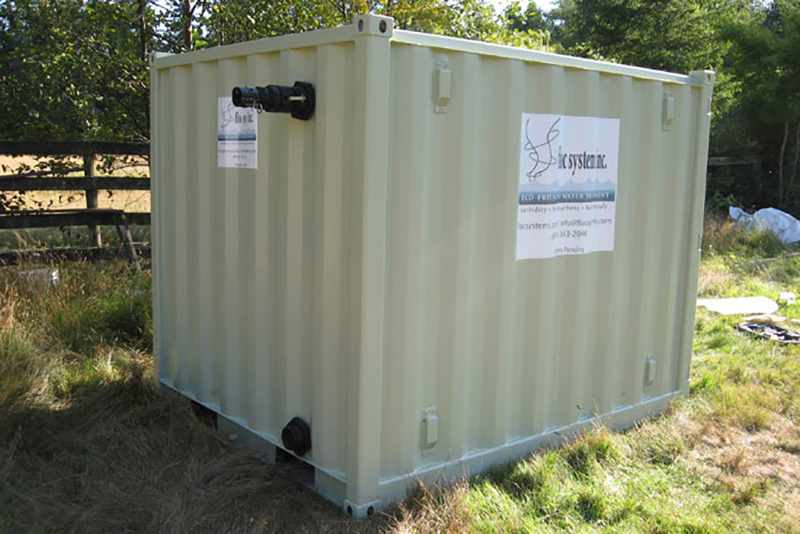 The Dewatering Bags have proven useful in all soil types: sand, silts, and clays. 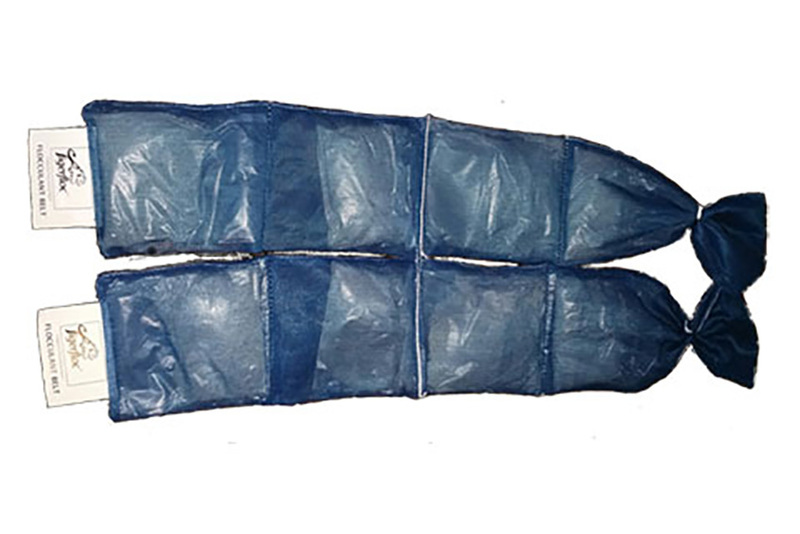 The Dewatering Bag holds back sediment and over time swells up like a pillow and filters out most of the sediment from the discharge water.